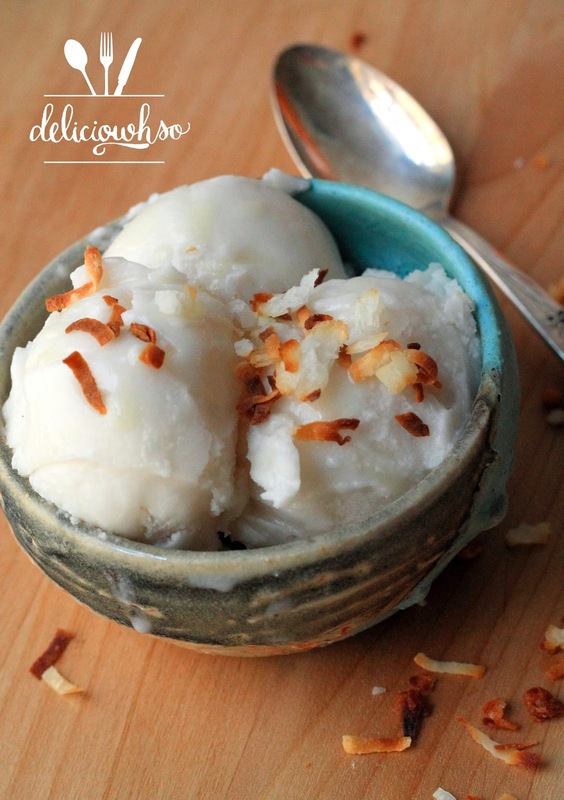 When I was working at the hotel, my coworker told me a great recipe for coconut sorbet. One can of cream of coconut and a can of water. I went on a search for the cream of coconut but couldn't ever find it at any grocery store I went to. 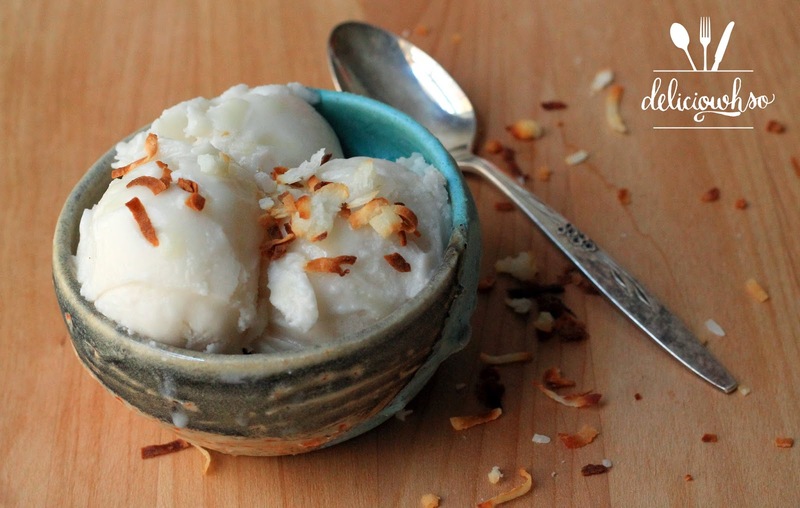 Over the past few months I ended up trying several different coconut products to create the sorbet, but it wasn't turning out quite right. However, this weekend I went to the grocery store to buy ingredients for the meal for the brothers in my fellowship (for brothers appreciation night #brolympicgames #ban14). As I was searching for grenadine (for "torch" drinks- made with grenadine, orange juice, tonic water), I finally found the cream of coconut. I tried the recipe and it is the most simple sorbet I've ever made. Not to mention, it's delicious! 1. Prepare ice cream machine according to manufacturer's directions. 2. In a bowl, whisk cream of coconut and water together. 3. Pour the mixture into the ice cream machine and churn according to manufacturer's directions until thickened. You may need to scrape the bowl of the machine so that more ice crystals form. 4. Once the sorbet is frozen, pour into an airtight plastic container and allow to harden in the freezer for at least 3 hours. 5. Toast flake coconut until slightly golden. You can do this in the oven at 350 degrees F or in a toaster oven. You only need a small amount for topping. 6. 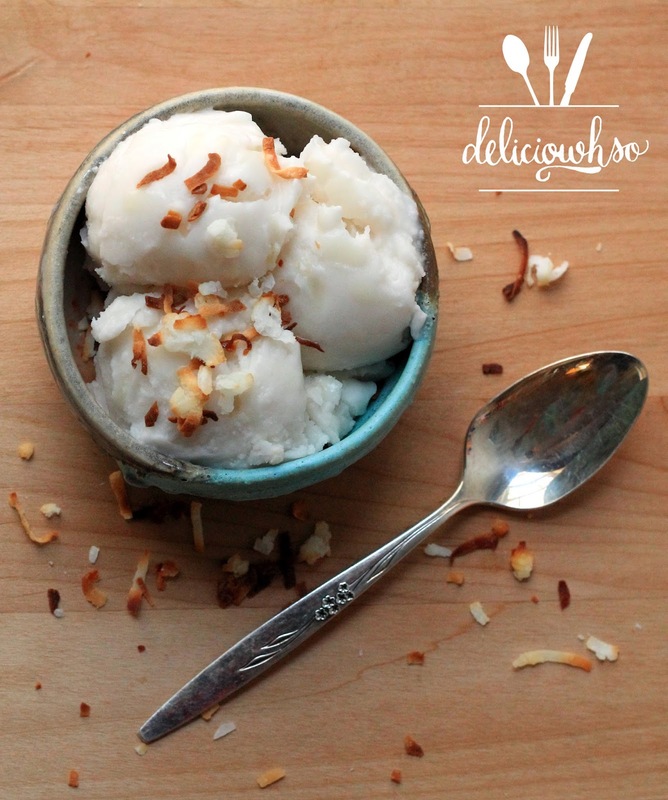 Once the sorbet is hardened, scoop into a bowl, top with lime juice and toasted coconut, and enjoy! FYI- cream of coconut is not in the international foods aisle with coconut milk- it's in the aisle with the alcohol mixers.